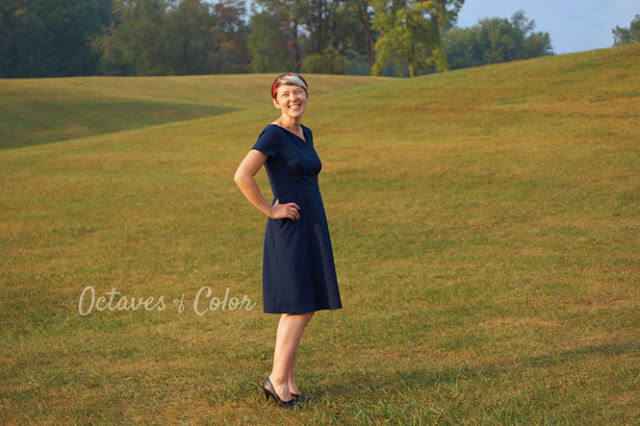 The Pattern of the Month - The Laneway Dress, Part 2. 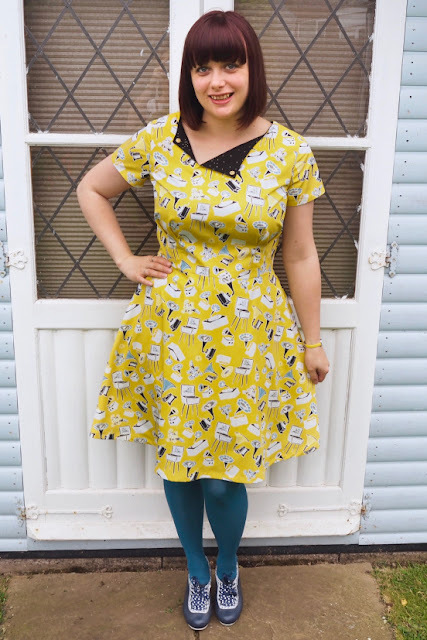 This round up is a wonderful mix of people who purchased the pattern when it was released, people who tested the pattern and those that received a copy of the pattern as part of the Pattern of the Month series. 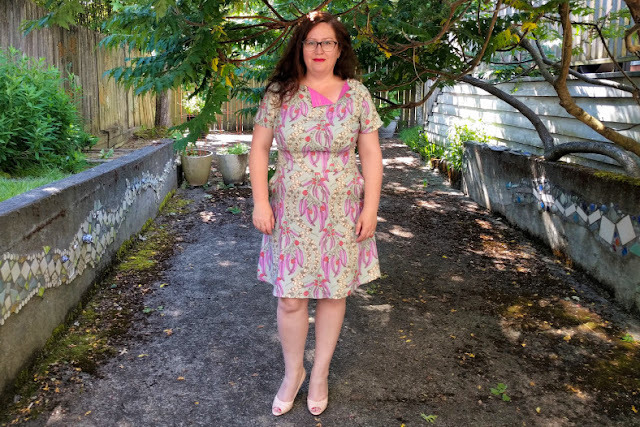 Ally purchased the Laneway Dress pattern when it was released, so this review is not by someone who received the pattern in exchange for a review. Claire was one of my lovely testers (thank you Claire!). 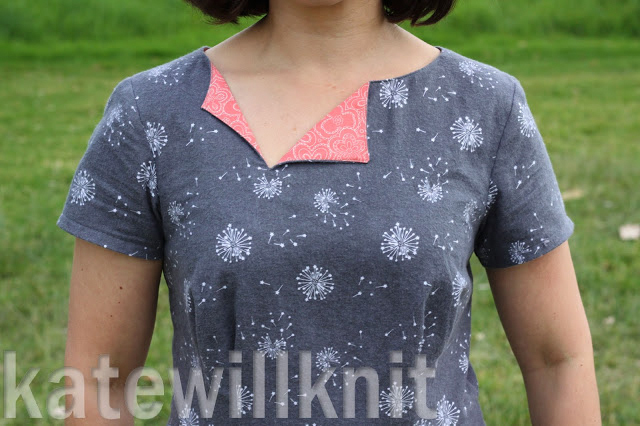 The only big-ish change to the pattern I made after I'd received all the feedback was to pinch a little more fabric out of the inner dart. This made the bodice slightly more shaped under the bust and aligned the angle of the two darts to make them more parallel to each other. Claire's version here is showing the pattern prior to that adjustment, but I think we can all agree that the fit looks pretty spot on (if I say so myself! 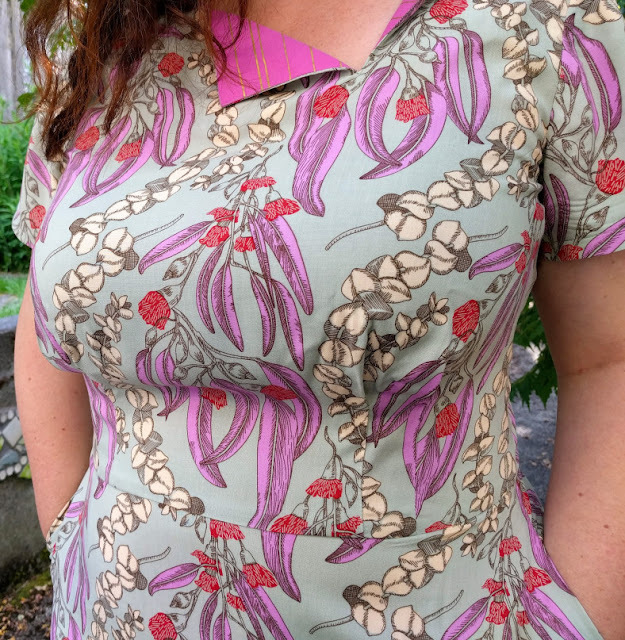 ), and we certainly can't ignore the fabulousness of the fabric she chose. Perfect. 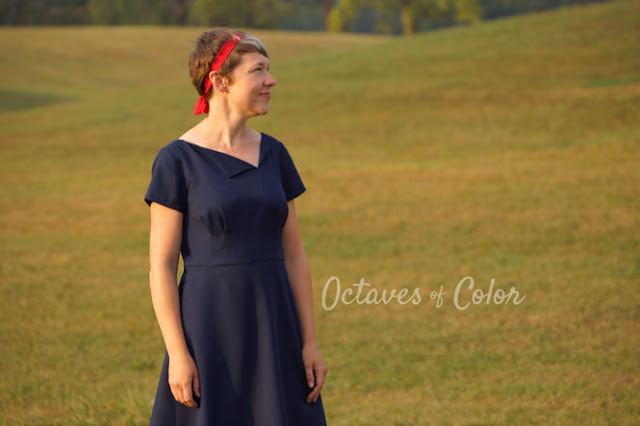 I am in love with Lilia's pleated sleeve cap! 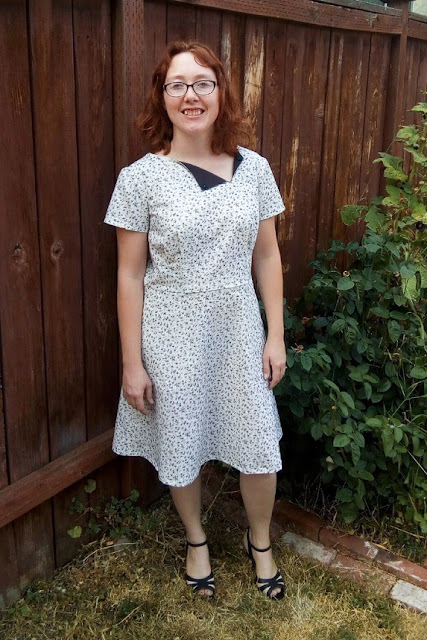 Definitely one of the best things about being a sewing pattern designer is seeing how others adapt a pattern to suit their own preferences. 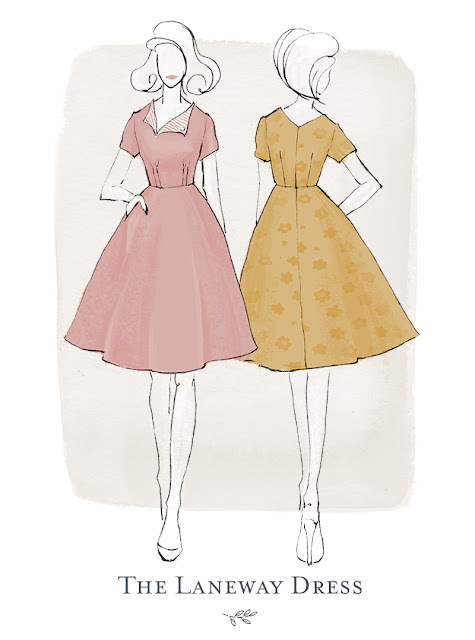 It also showcases all the different ways you can adapt one pattern and how many different garments you can get out of it. 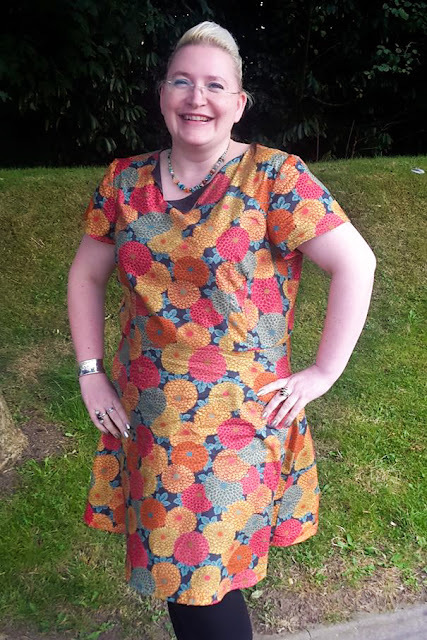 A bright, beautiful African wax print cotton, who doesn't love it? 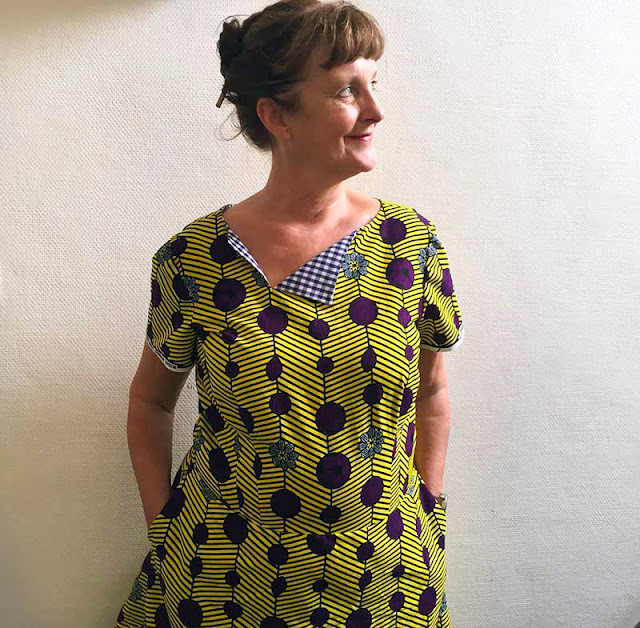 Wis made this exceptionally beautiful Laneway dress from a few precious metres that she had of this particular wax print, and if you look closely at the sleeve hem, you can see she cut the hem on the selvedge. 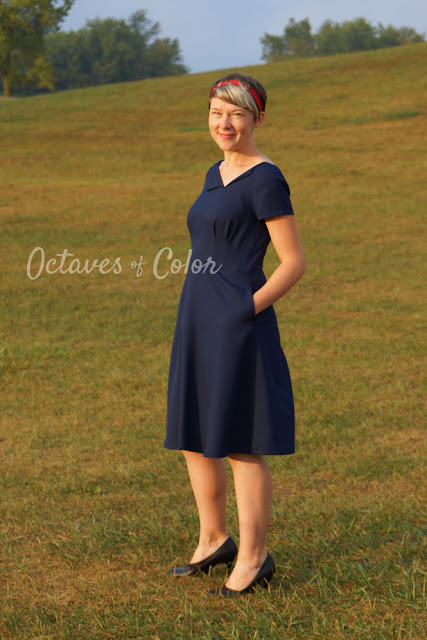 It's such a lovely way to remind ourselves of what the fabric is, and bonus, no hemming! Oh dahlias, I'm so happy we're heading into dahlia season down here. 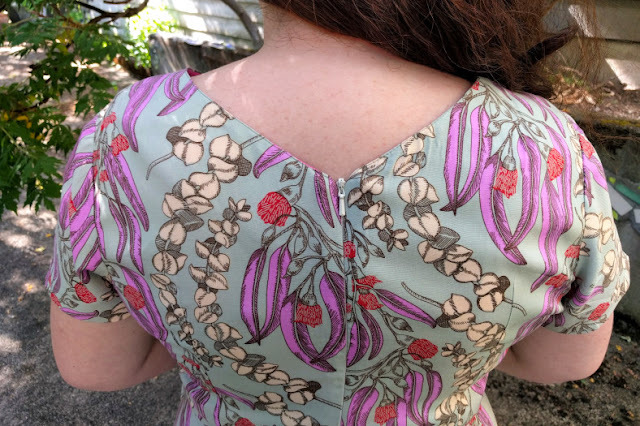 Sue's dahlia Laneway Dress was one of the first dresses I saw out in the sewing-wild using the classic neckline bonus pattern. 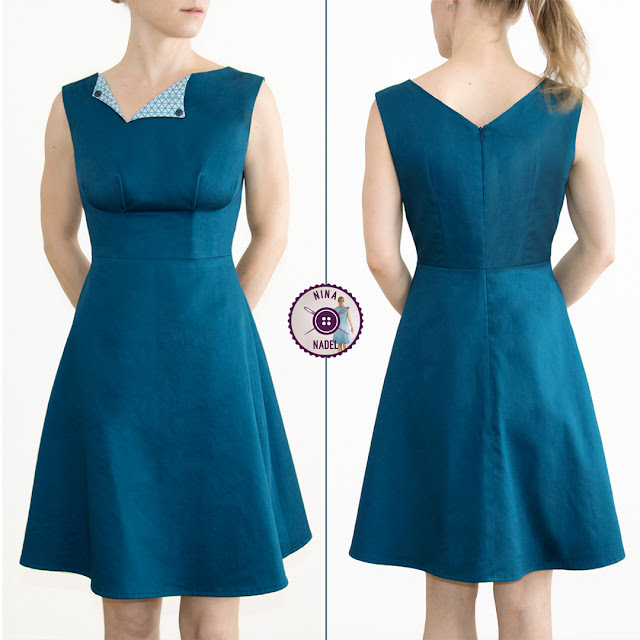 The classic Laneway dress neckline is just that, er, a classic mid-height neckline with no in-built collar. 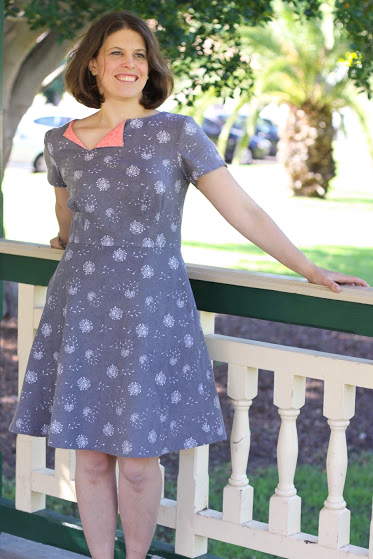 I was originally going to do a tutorial on how to achieve this look (it's perhaps slightly more versatile than having a million dresses with asymmetrical or centred collars) and then decided to just add in the extra pattern pieces, because, why not? Extra versatility with a pattern is always going to be a win. 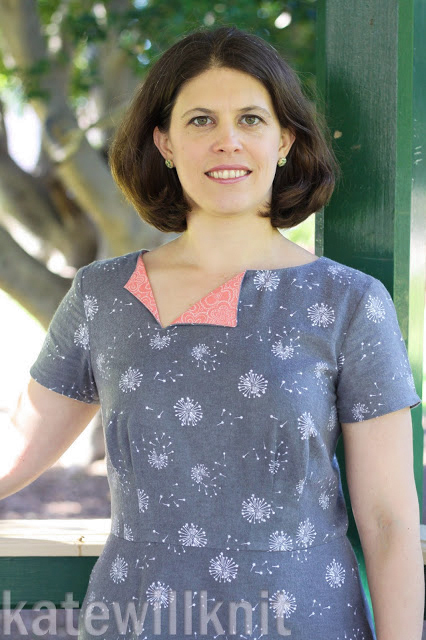 Caroline designed her Laneway Dress with Hogwarts in mind. Um, YES! Can anyone guess which house she's for? 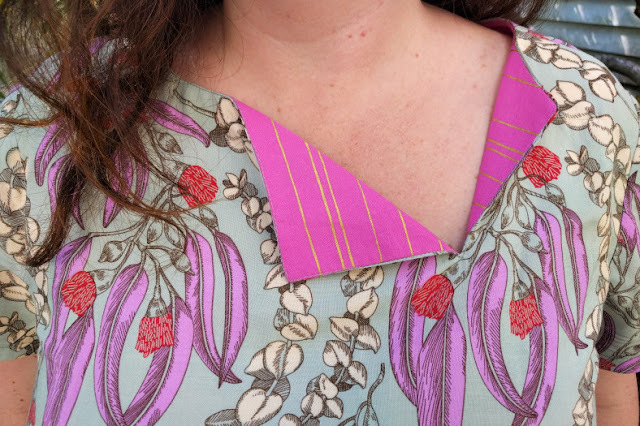 Plus, did you see that pattern matching? It makes me so happy! 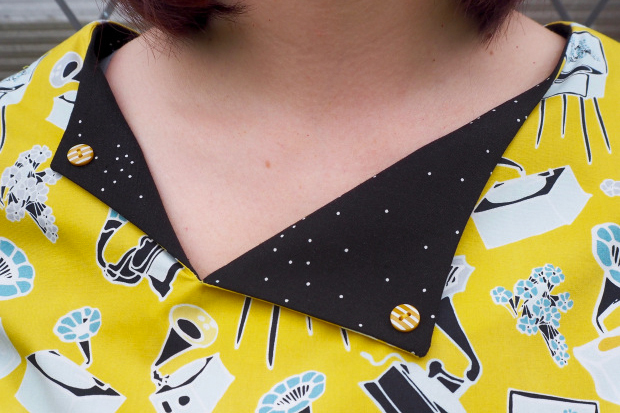 Caroline chose the centred collar view and added in an additional waistband, because, bias. There is just no stopping her. Hoggy Warty Hogwarts to you. I love Amanda's crisp, black and white Laneway, a classic combination. Unfortunately she found the dress a came up a little big on her, and from her photo, I do agree (although her husband thought the opposite - it's all in the eyes of the beholder, huh?). 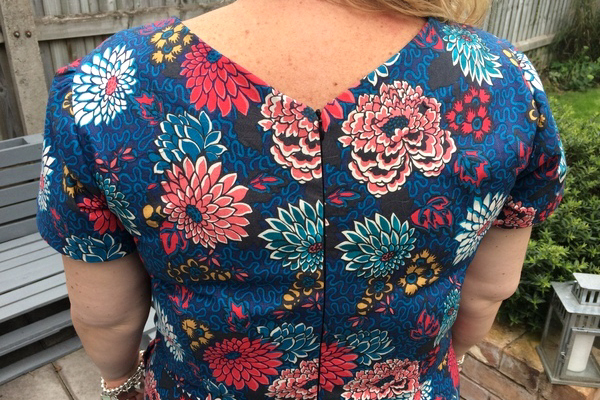 One thing I definitely recommend with Laneway is to check the finished garment measurements. 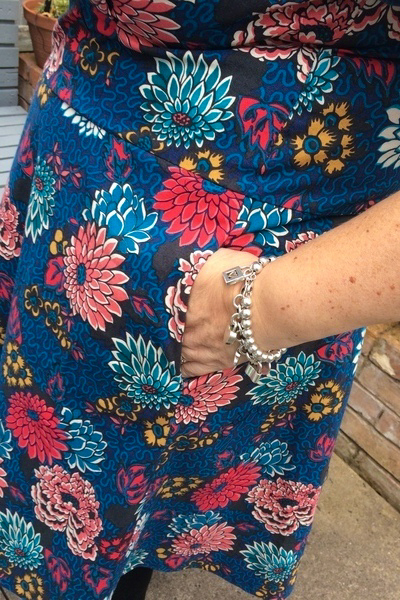 There is slightly more built-in ease because I was going for the 'look' of a fit'n'flare dress without the tightness that comes with a pattern of that style. Looking at the finished measurements will definitely help you to decide whether to size up or down (or stay the same!). 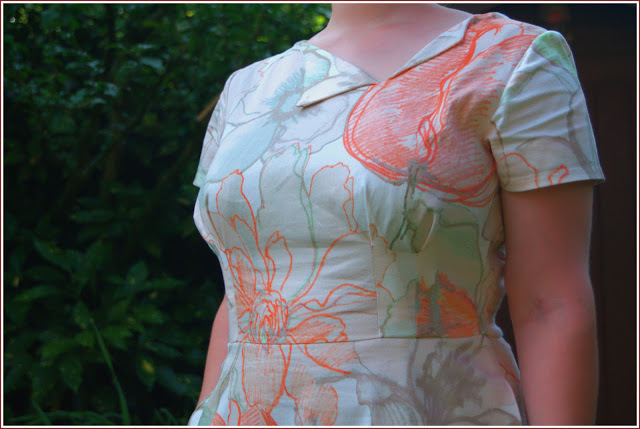 Having said that though, I still think it looks gorgeous on and I hope that Amanda is able to get some wear out it. 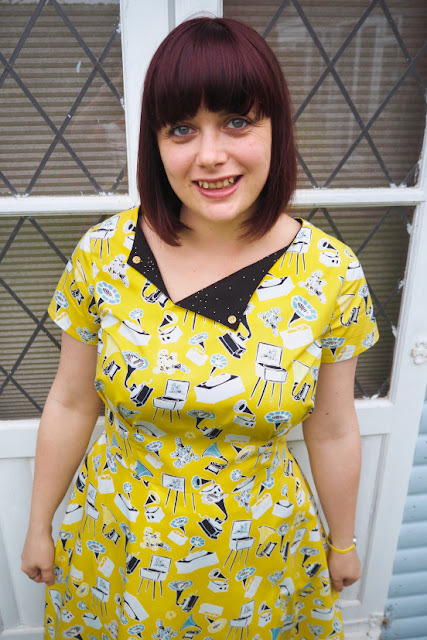 Another of my testers, Kate, made Laneway in one of my 'a little out there' fabric suggestions - flannel!! I know it sounds strange, but, lets bring back flannel as everyday wear guys! I promise it's the best thing you'll ever do, especially if you're heading into winter. 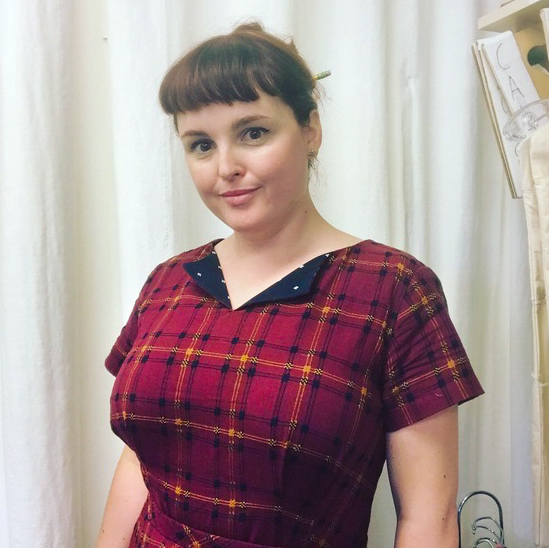 The maroon Laneway sample dress I made is made using a mammoth flannel, and it is so cosy and soft. 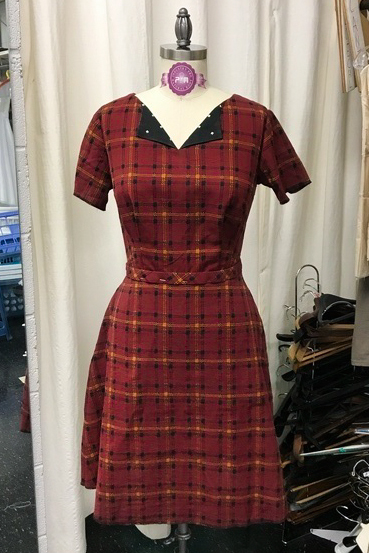 And since Laneway is designed to give the illusion of being a fit and flare dress, without the tightness of that style, flannel is a perfect pairing, and I'm happy to see that Kate agreed. 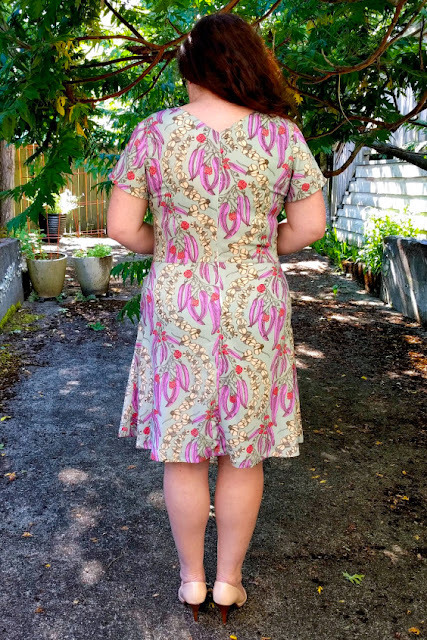 Shelby made this Laneway for her friend Sharon out of a very light-weight viscose/rayon fabric, and while I suggest fabrics with a bit more structure, I'm always happy to be proven wrong. 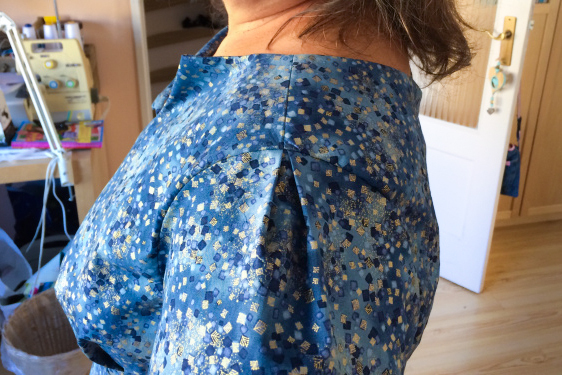 Head on over to Shelby's blog to read a bit more about how she got the perfect shoulder fit for Sharon. The first muslin fit like a dream everywhere except the shoulders (sigh...) but after a few alterations, I think she got a beautiful fit. Don't you? 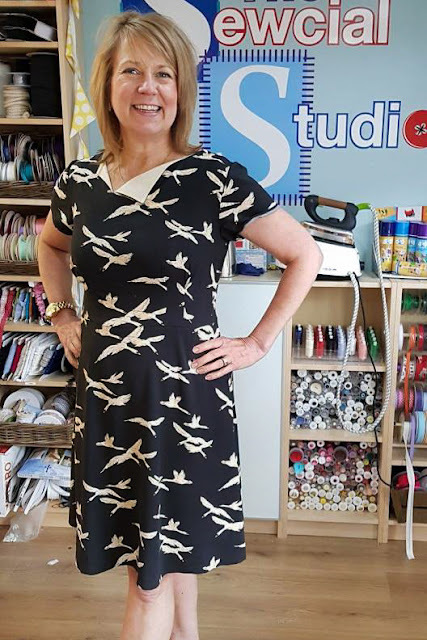 Julie ended up finding the size she chose a little bit too big (as I mentioned above, there is more inbuilt ease in Laneway than my previous patterns - done on purpose to give the illusion of a fit and flare dress without the discomfort at the end of the day). 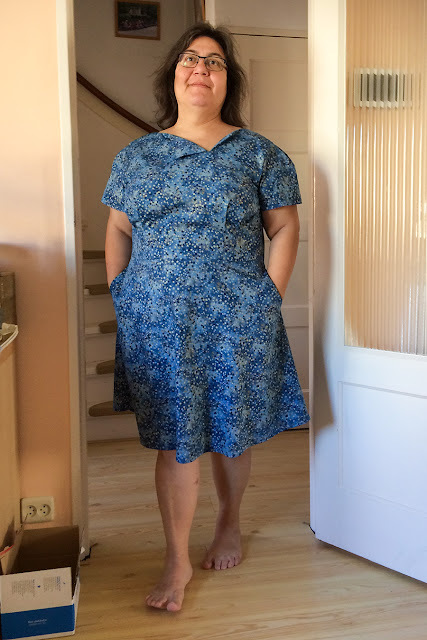 But I am happy to hear that she's going to give it a go in a different size, and even though she found it a bit big, she is still happily wearing it. I love Nina's version of Laneway so much! Just everything, from the colour of the dress to the contrast collar, to the fit, to the beautiful buttons she used to secure her collar down. Like Ana, Nina adjusted the bodice to make a sleeveless version and I think it just looks stunning. From what I can tell, I think Nina also took in the darts a little more under the bust for a super fitted waistline - stunning. 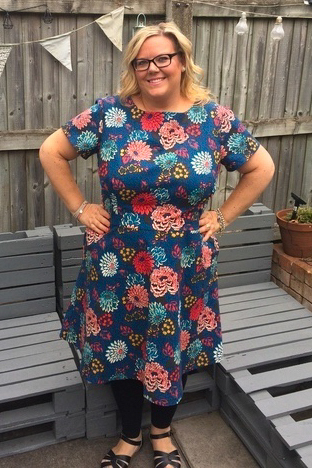 Nina purchased the Laneway Dress pattern when it was released, so this review is not by someone who received the pattern in exchange for a review. Amanda was yet another tester for Laneway and this is the first (to my knowledge) of my patterns to make it's TV debut! I was so honoured that Amanda loved her Laneway so much to wear it on TV. That's a pretty great review all in itself. Amanda also went for crisp, clean and classic, black and white. And of course I love the birds. Just put a bird on everything, okay? I actually approached Lucy in the 'standard' way to do a review for Laneway (prior to announcing the Pattern of the Month series). I thought the silhouette was up her street style-wise, and thought she would be a good match for the pattern. I'm glad I wasn't wrong because seeing this dress makes me so happy. Laneway is such a perfect canvas for novelty prints, which if you've never taken a peep at Lucy's blog or instagram, are her specialty. 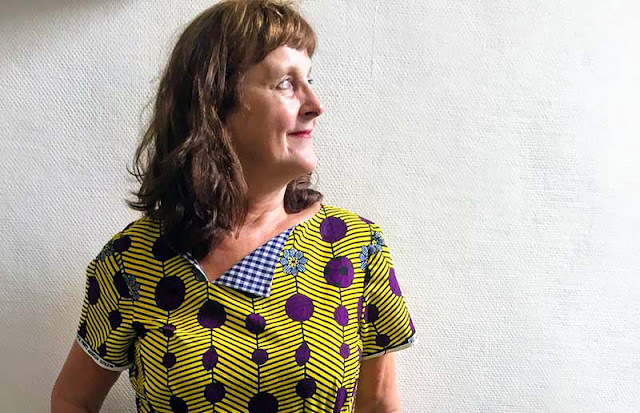 Quick, go and be inspired by her beautiful and quirky fabric stash, you'll be reaching for yours afterwards, it does not disappoint. And there you have it, the first Pattern of the Month Reviewer Round up - and it was rather a success. There are a great range of reviews from a number of different bodies and sizes and I was really pleased that everyone found the multiple bust cups a breath of fresh air. The reason I added A cups into Mayberry was because of all the positive feedback from Laneway. All in all, I'd say the feedback was definitely fair, and I totally acknowledge that some people found Laneway a little too roomy. As I've mentioned throughout (as well as in the instructions for Laneway), it was deliberately designed that way. 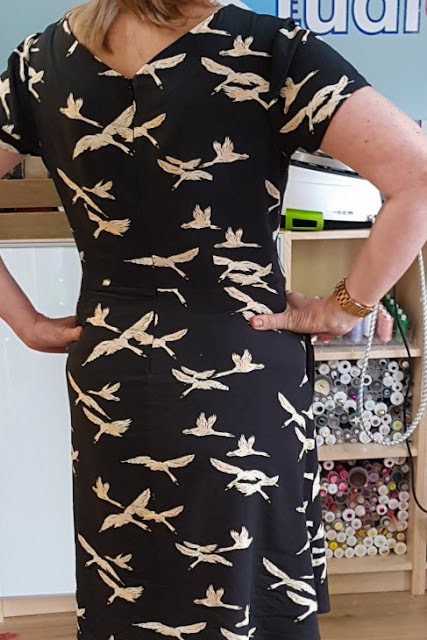 So, if you do like a more fitted dress (rather than the appearance of one) I highly recommend you look at the finished garment measurements first so see if you might want to make any size adjustments. 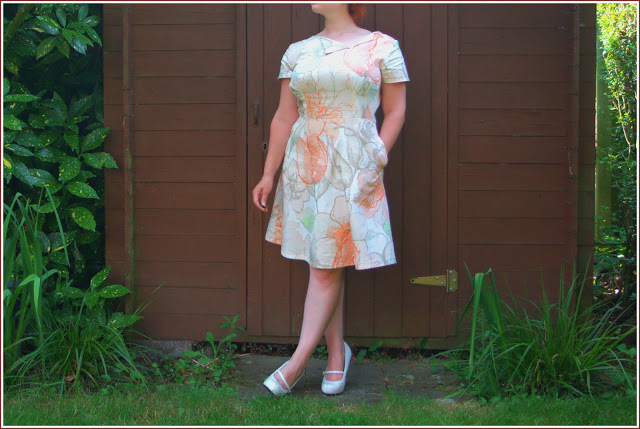 And always always do a toile before cutting into your final dress fabric. Right, bring on the next one folks! A little birdy told me it might be this pattern.